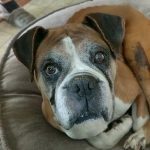 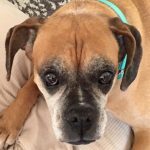 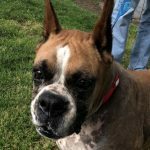 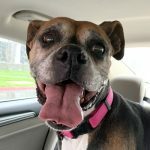 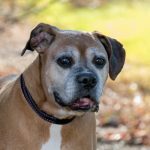 Dana is a sweet senior lady who is a big ol’ love bug. 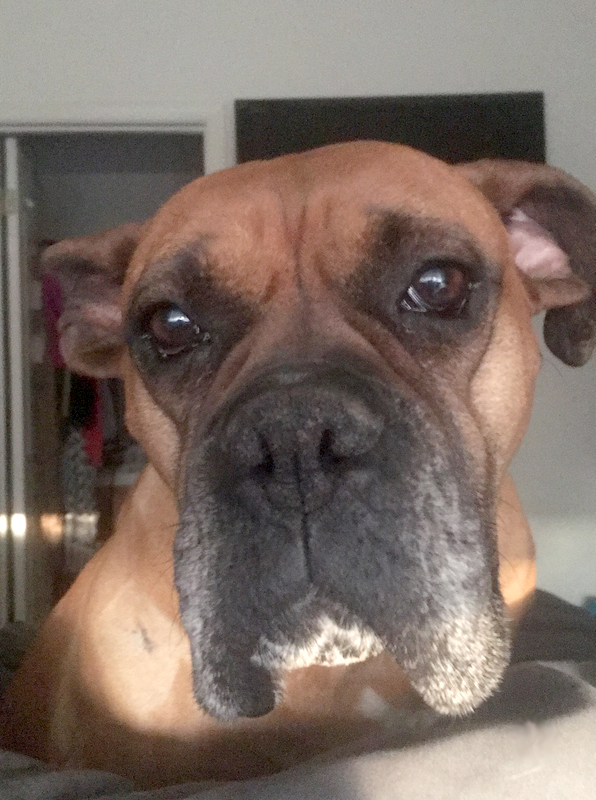 More than anything, she loves getting attention and will stand next to you as long as you’re willing to pet and rub her. 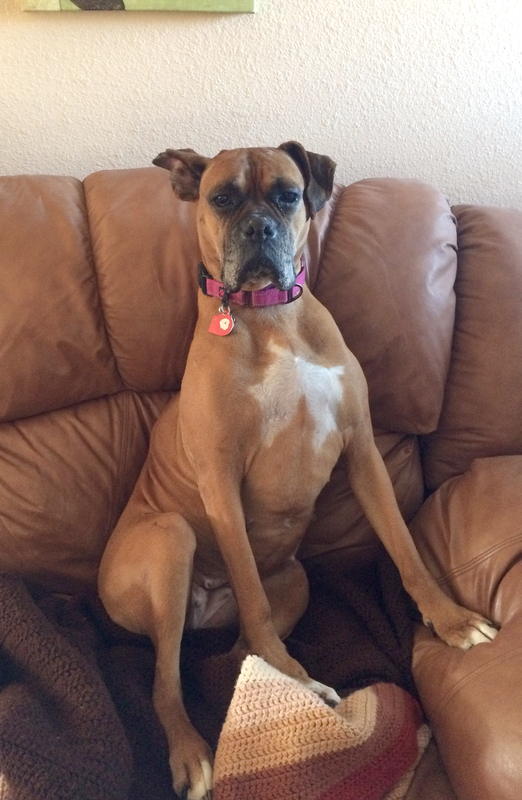 Next to getting loved on, her favorite thing is to lounge around waiting to get loved on again! 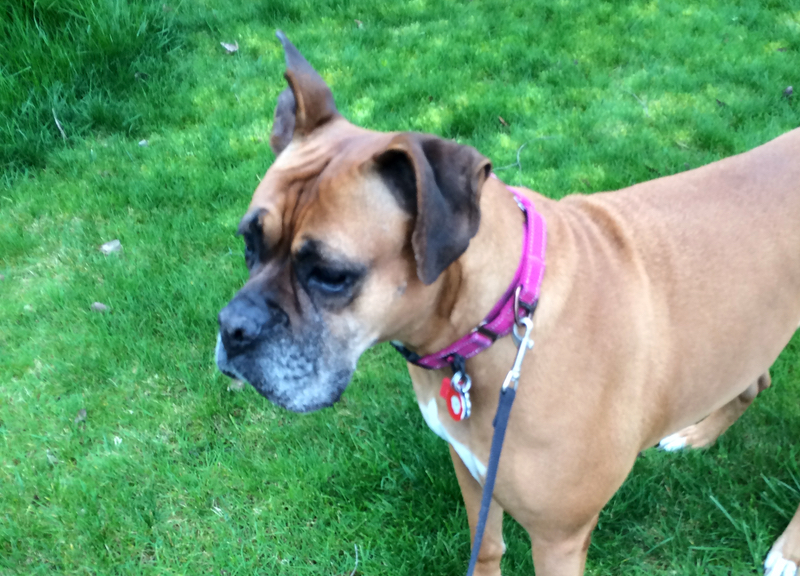 She will follow you wherever you may go, from room to room in the house and all around the yard, just to be near you. 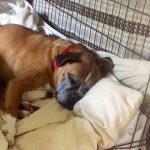 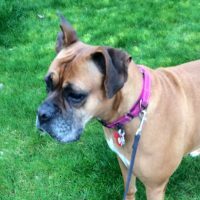 Dana loves to hang out and watch her foster dad working in the garden. 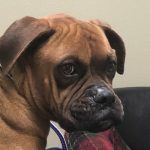 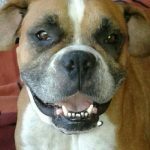 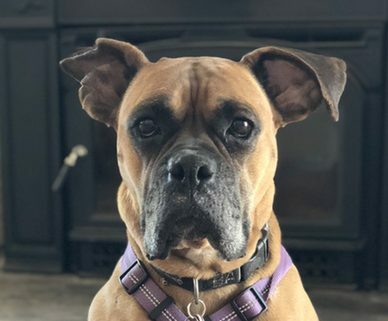 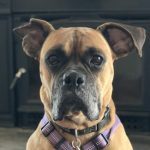 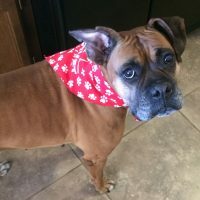 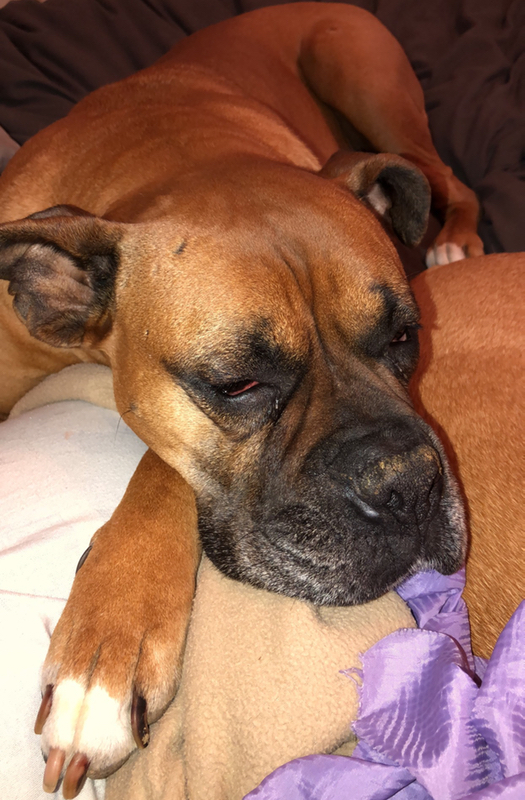 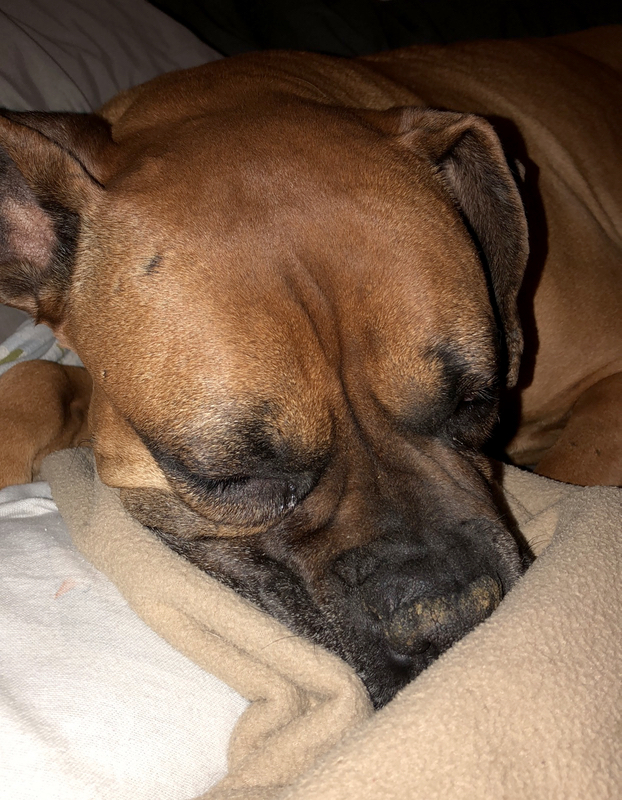 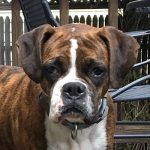 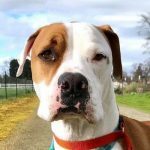 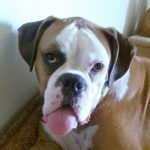 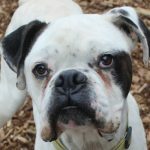 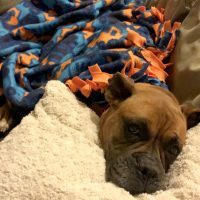 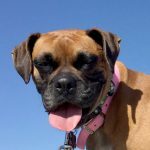 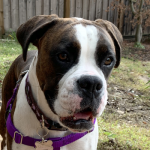 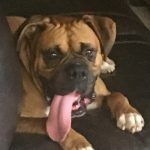 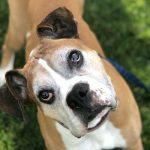 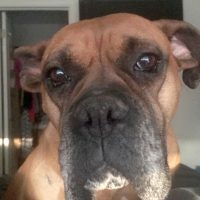 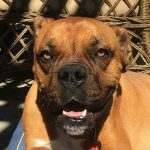 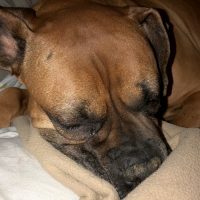 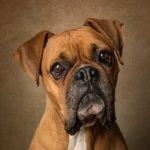 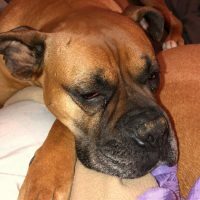 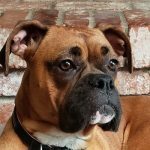 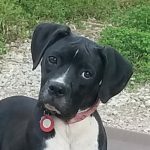 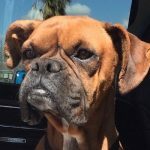 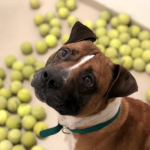 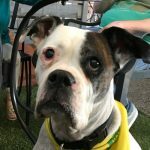 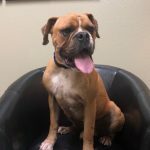 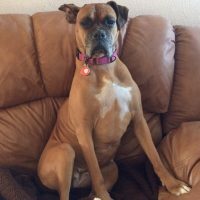 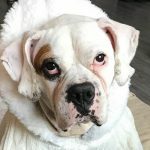 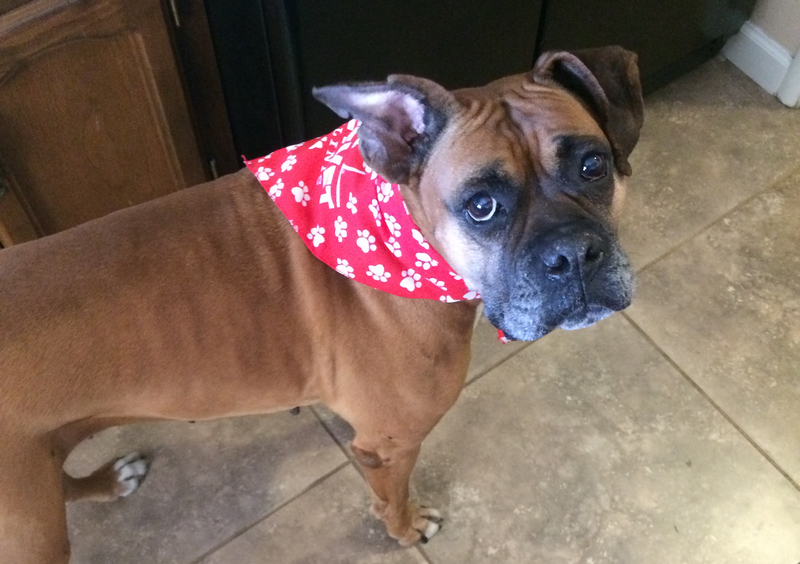 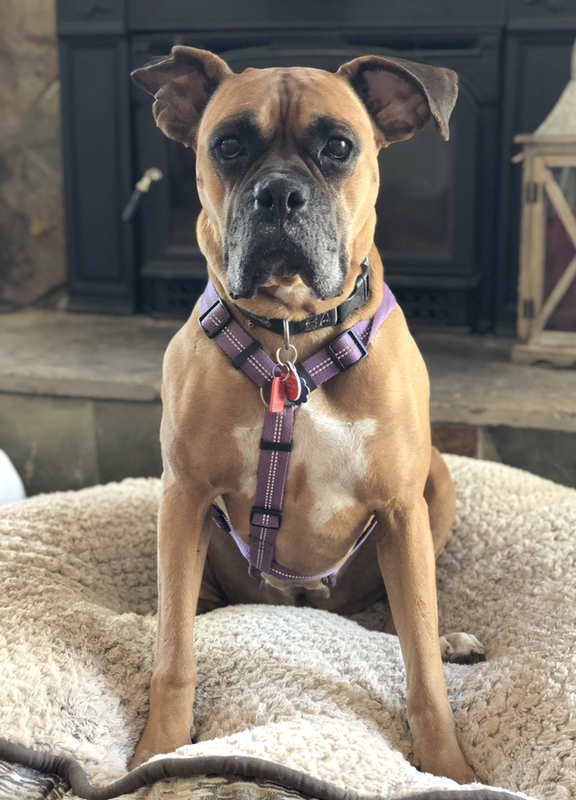 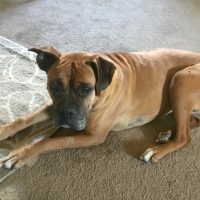 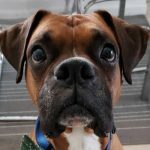 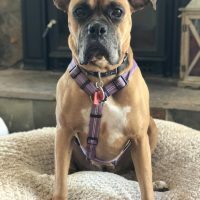 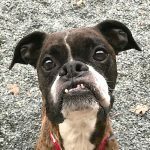 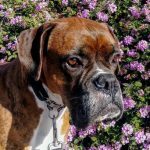 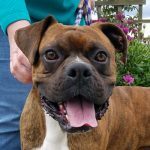 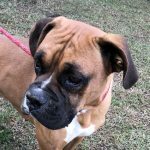 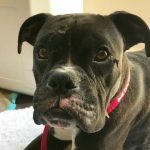 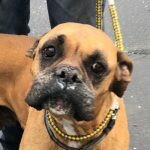 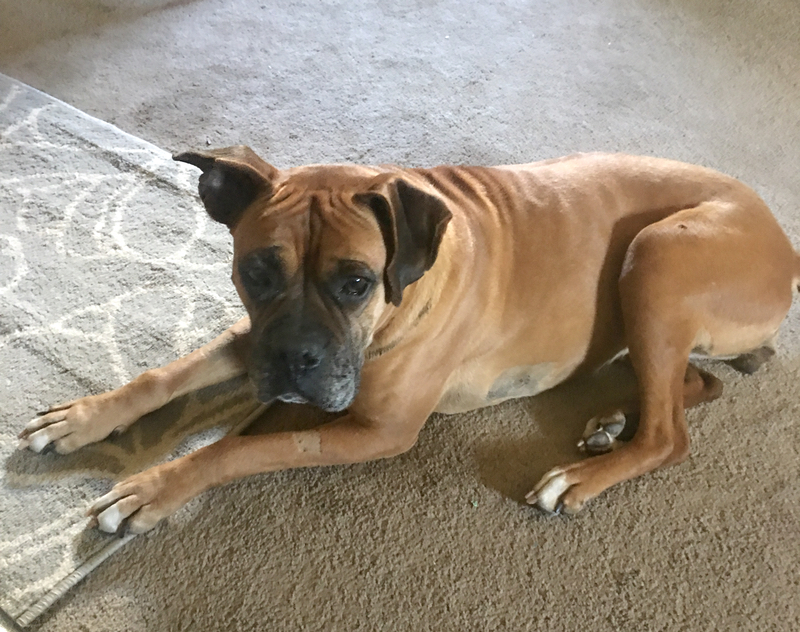 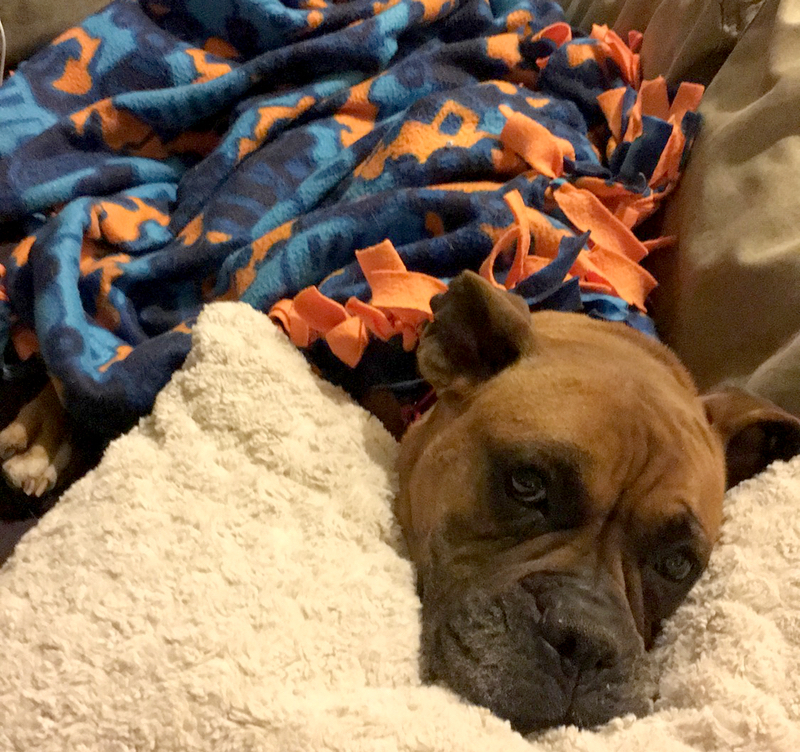 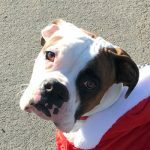 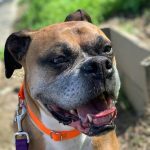 Overall, Dana is very low energy for a boxer, but still has just enough goofiness, clumsiness, and occasional romps (those enduring traits we love about boxers) to keep you entertained and laughing. 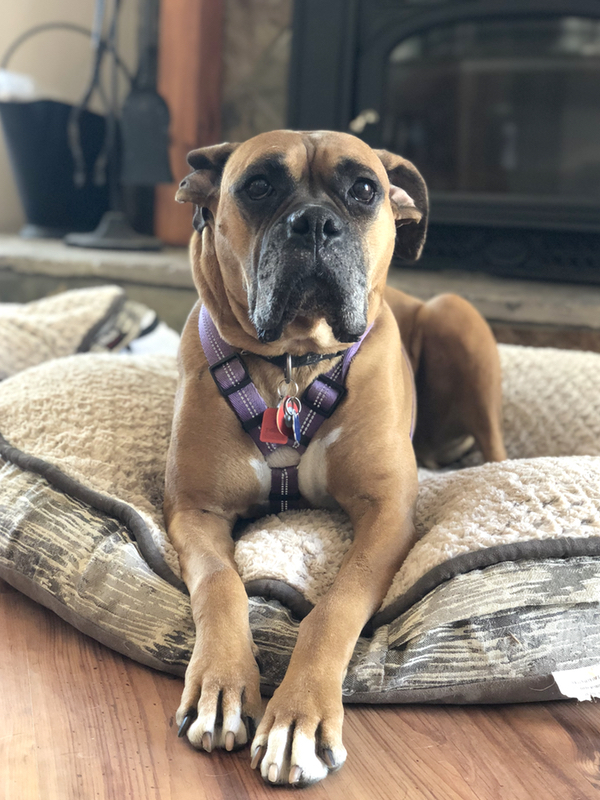 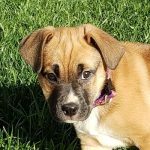 She doesn’t need a lot of exercise and wouldn’t be a good fit for someone looking for a dog to take on long walks, outings at the park, or other energetic activities. 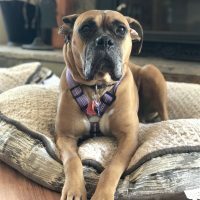 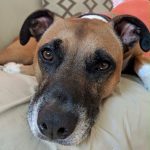 Dana’s ideal home would be with someone who’s looking for a loyal and loving companion to relax and hang out with around the home, with just enough of a back yard to lounge in or frolic and romp a bit when the urge strikes her. 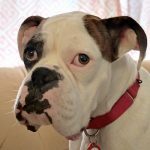 Dana could live with another calm dog companion with proper introductions, but she’d be happy with just her people.